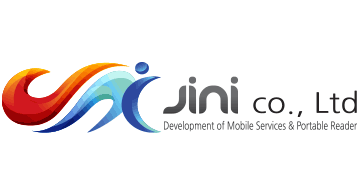 As a mobile payment service solution developer for sellers, JiNi has developed wearable Mobile POS to improve sellers’ sale management environments. Its technical power was proven by the Certificate of New Excellent Technology (NET) conferred by the Ministry of Trade, Industry and Energy in 2015. Why not wear the first global wireless,wearable POS,once used as a desktop one? Wireless communications with smart devices actualize hands-free use. That is, it can be worn as a watch or scarf pendant. - Acquired EMV L1 and L2 Certificates. * MasterCard MPOS Registration is in progress.